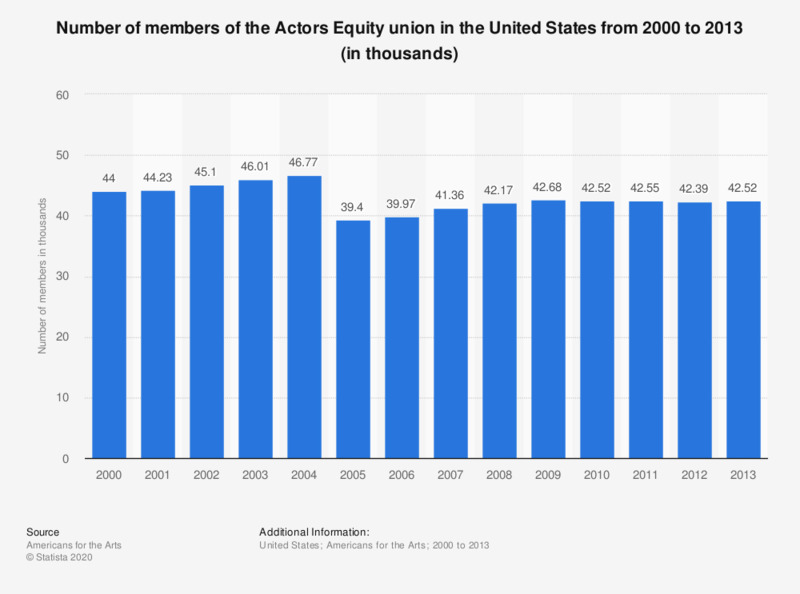 This statistic shows the number of members of the Actors Equity union in the United States from 2000 to 2013. In 2013, there were approximately 42.52 thousand members of the Actors Equity union. The Actors Equity Association is the labor union that represents actors and stage managers in the U.S.